2. Also music to your ears: the Summer Concert Series at Coronado Ferry Landing which takes place every Saturday and Sunday from 2:00 – 5:00 pm, through September 5, at the Coronado Ferry Landing shops on scenic San Diego Bay. Featured musicians include the Crown Island Jazz Band, Coronado Big Band and Teagan Taylor Trio. 3. 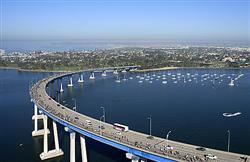 Bicycling across the iconic San Diego-Coronado Bridge is a rare and exciting opportunity that happens only once a year during Ride the Bridge-Bike the Bay on August 28. This 25-mile “fun ride” across the bridge and along the beautiful Bayshore Bikeway passes through Coronado’s Tidelands Park, Silver Strand State Beach and Glorietta Bay, as well as through neighboring San Diego, Imperial Beach, Chula Vista and National City. Register here. 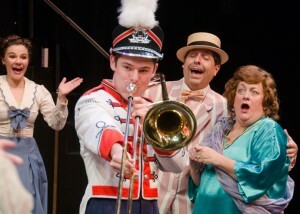 Trumpeting the extended run of "The Music Man." 4. When a show’s run is extended you know it’s good! The Lamb’s Players Theatre’s production of “The Music Man”continues to delight audiences through July 24. Children’s tickets (ages 5-17) to this great American musical are half price – sure to fill even more seats! "Wings of Gold" takes flight all summer long. 5. 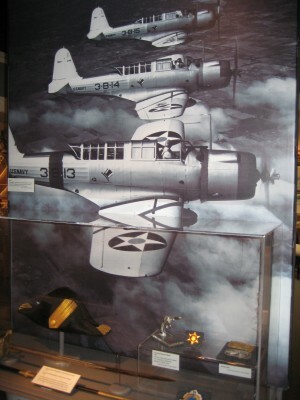 Coronado’s Centennial of Naval Aviation celebration continues through September 18 with the high-flying “Wings of Gold: Coronado and Naval Aviation” exhibit at the Coronado Museum of History & Art. In addition to photos of historic first flights, there’s an early pilot license signed by Orville Wright, model airplanes, a cool aircraft carrier mock-up and more. Also, check out “Summer of Loews” at Loews Coronado Bay Resort and a fun-filled calendar of events at the Hotel del Coronado. 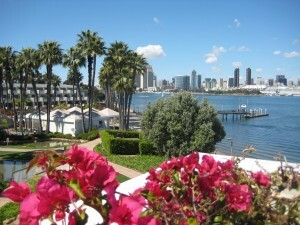 We want to send you to Coronado in our “Live Like a Royal in San Diego’s Crown City” Sweepstakes. The trip for two includes a 2-night stay at the Hotel del Coronado, a 1-hour surrey rental from Bikes & Beyond, and a Pasaporto Cruise from The Gondola Company. Register to win here. Contest ends July 15, 2011. 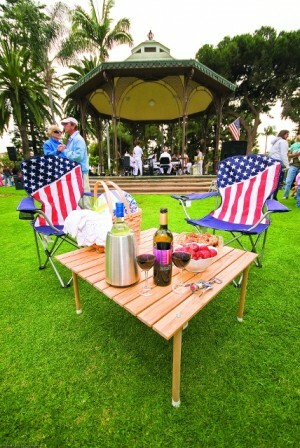 This entry was posted in Arts & Culture, Attractions, Family Vacations, Hotels & Places to Stay, Insider Tips, Outdoor Adventures, Shopping and tagged 5 to try, centennial of naval aviation, concerts, coronado, crown city, enchanted island, ferry landing, five to try, history, hotel del coronado, insider tips, lamb's players, live like a royal, loews coronado bay resort, museum, san diego-coronado bridge, spreckels park, summer, sweepstakes by Robert Arends. Bookmark the permalink. Coronado is a great little place, I have been there to play drums with several ensembles over the years. I live in Los Angeles, but I love going down to Coronado to work. Nothing like playing good music in beautiful surroundings! The Hotel Del Coronado is amazing, not to be missed. I had an amazing romantic getaway with my (now) wife last year at that resort.